These solvents are biodegradable and no toxic for aquatic life, they have no harmful effect on the ozone layer and are characterized by a low vapor pressure. In response to the ever growing new requirements, also including the ecological aspects, the company CEEVER has developed a new line of CK- plants that work with solvents on the hydrocarbon base. The chamber of treatment usually contains to its inside a rotating structure to longitudinal axle. Such structure allows the total or partial rotation (to choice of the consumer) of the pieces inside of the washing chamber. 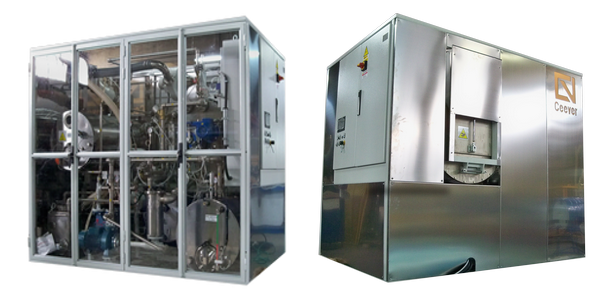 During the treatment, all components are operating under a vacuum at locally controlled absolute pressures. The plants are entirely controlled by PLC and include a display, which provides a graphical representation.